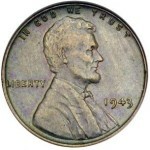 Although the dime is an essential part of the decimal coinage system, it was one of the last coins issued by the U.S. Mint when operations first began. By the time it made its debut in 1796, as the Draped Bust/Small Eagle dime, the Mint had already been making copper cents and half cents for three years; silver dollars, half dollars and half dimes for two years; and even two gold coinsthe eagle and half eaglefor a year. The only other coins delayed, like the dime, until 1796, were the quarter dollar and quarter eagle. It’s not as if the dime was an afterthought. Actually, Thomas Jefferson had called for such a coin as far back as 1783, as part of a proposed decimal system, and was joined in his advocacy by Benjamin Franklin, Alexander Hamilton and the man who would become the first Mint Director, eminent scientist David Rittenhouse. The decimal system was gradually gaining acceptance for use with calculations, but it had not yet been used for any nation’s monetary structure. The founding fathers believed that not only was decimal coinage an efficient, workable method for commerce, but it also symbolized a break from the Old World. Hamilton, the nation’s first Treasury Secretary, bolstered this view in 1791 in his formal report to Congress, outlining a plan for a national Mint and coinage. He recommended the issuance of coins in six denominations including a silver piece “which shall be, in weight and value, one tenth part of a silver unit or dollar.” He suggested that the dollar be called the “unit,” with its tenth part being known as simply a “tenth.” These names never took hold, but the basic Mint Act of April 2, 1792, did include provision for both a silver dollar and a coin one-tenth thereof to be called a “disme.” The term dismepronounced the same as “dime” and later anglicized to be spelled the same, is French for “decimal.” It first gained wide usage in 1585 when Dutch mathematician Simon Stevin published a pamphletlater translated into French, and then into English as Disme: the art of tenths, or, Decimall arithmeticke. 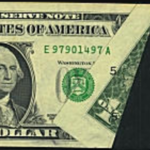 The word “disme” never appeared on a regular-issue U.S. coin. But in 1792, before the start of official federal coinage, about 1,500 half dismes and a handful of dismes were struck bearing the statement of value in this now strange-seeming phraseology. Although these are authorized U.S. issues, they are generally regarded as patterns or provisional pieces. Only three 1792 dismes are known today in silverwith about 15 others struck in copper. After that tentative start, four years would pass before the Mint produced the first 10 cent coins intended for circulation. The dime (or disme) remained on the back burner. 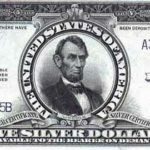 The dollar, perceived as the most prestigious coin of the new silver issues, was made first. Then, when production problems forced the Mint to stop making dollars, it turned instead to half dollars and half dimes. Why no dimes? Numismatic researcher R.W. Julian attributes the delayin large measure to lack of public demand for this small silver coin, either from merchants and their customers or from bullion depositors. 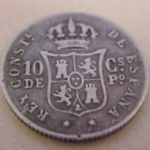 Commercial needs were met adequately by the large numbers of Spanish reales then in circulation: The 1-real coin, worth one “bit” or 12 1/2 cents, provided a convenient and readily available means to pay for small purchases. Meanwhile, depositors who left silver bullion with the Mint, seeking silver coinage in return, much preferred large coinsespecially silver dollarsto small ones like the dime. By the time production of dimes finally began, the Mint had already modified the original designs of the other silver coins, so the dime denomination missed an entire cycle. The first regular issue silver coins had featured the so-called Flowing Hair portrait of Miss Liberty, but by 1796 this likeness had given way to a more sedate Draped Bust portrait, and that’s the one that appeared on the very first dimes. The Draped Bust Small Eagle dime designed by Mint Chief Engraver Robert Scot featured a buxom portrait of Liberty, with her flowing hair tied by a ribbon and her neckline covered with drapery, encircled by stars at the sides, the inscription LIBERTY above and the date below. Pieces dated 1796 have 15 starsone for each state in the Union then. 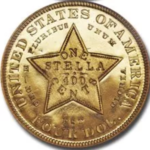 In 1797, some dimes were struck with 16 stars (reflecting Tennessee’s admission as the 16th state) and some with 13, symbolizing the 13 original states, after the Mint abandoned the idea of adding an extra star for each new state. The reverse depicts a small, spread-winged eagle perched upon clouds and surrounded by palm and olive branches. Encircling this is the motto UNITED STATES OF AMERICA. The coin carries no statement of valuecuriously, the Mint Act of 1792 required that only the copper cent and half-cent be inscribed with denominations. Liberty’s portrait was based on a drawing of Philadelphia socialite Ann Willing Bingham, one of the most beautiful women of her time. The drawing was prepared by portraitist Gilbert Stuartreportedly at the urging of President George Washington himself, who felt the early coins were in need of artistic improvement. Stuart’s sketch was translated to plaster by artist John Eckstein , and the dies were then executed by Scot. When grading this design, wear will first show on Liberty’s bust, shoulder and the hair above the ear and at the forehead. On the reverse, check the eagle’s head and wing tops. The first Draped Bust dime was minted for only two years; in 1798, the small, naturalistic eagle gave way to a larger heraldic version, creating a brand new type. During this brief run, the Mint produced a total of 47,396 pieces. There are only three basic varieties in the series: the 1796, the 1797 with 16 stars and the 1797 with 13 stars. Thus, some collectors pursue complete sets, despite the high cost of each component. Many, however, treat this as a type coin and acquire just one specimen to represent the series. Although not much usable research on these early dimes was available to numismatists for years, present-day variety specialists recognize eight varieties (six for 1796, two for 1797) delineated in Early United States Dimes, 1796-1837, published in 1984 by the John Reich Collectors Society. Although Mint records show a slightly higher output in 1797, the late Walter Breen, a noted numismatic scholar, speculated that some dimes made in 1797 may have been dated 1796. Dimes dated 1797 are rarer across the grade spectrum than the first-year pieces, and particularly so in Mint State. At least several dozen uncirculated 1796s exista few with prooflike surfaces, possibly made as presentation pieces for VIPs. The famed collector, Colonel E.H.R. Green, son of “The Witch of Wall Street,” fabulously wealthy Hetty Green, possessed a small hoard of uncirculated 1796s, all of which were dispersed after his death in 1936.